While that header may call for a “no duh” type of response, it is clear that UFC 214 confirmed that fact. 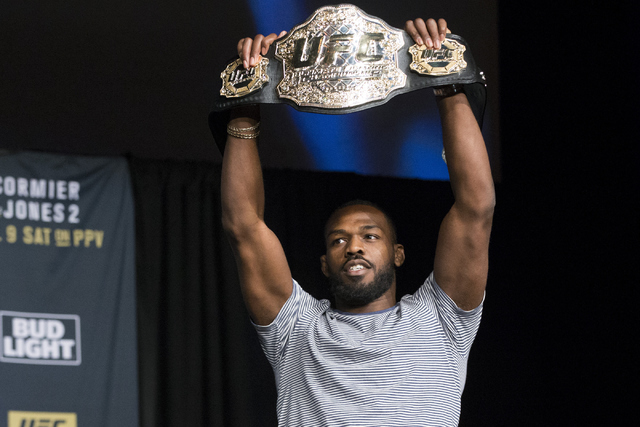 After multiple run-ins with the police, verbal beatings by UFC President Dana White, and a host of other questions, Jon Jones reclaimed his place as the light heavyweight champion of the world. The response is a resounding sigh of relief that things are now “right” in the UFC. Industry experts are estimating that UFC 214 cracked more than 700,000 PPV buys, which is a monumental number for anyone not named Conor McGregor or Ronda Rousey. If it somehow finds its way to the coveted 1 million buy mark, Jones becomes an even bigger player on the UFC roster. But even if UFC 214 doesn’t hit that number, Jones took a step in that direction by calling out Brock Lesnar, an individual that comes with dollar signs and PPV buys attached to his name. That fight may be a 2018 marquee event in the making, but the fact that Jones has started building that bridge is the kind of welcome news the UFC needs at this time. Jones isn’t the only fighter to hoist UFC gold. 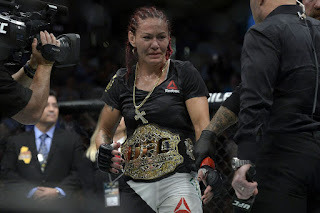 Cris Cyborg, Max Holloway, and Robert Whittaker all became UFC champions for the first time during this period. All three of those individuals have the special combination of ability and personality to become major draws for the organization. It’s unclear as to what the next steps are for any of them, but if booked and promoted in the proper ways, these fighters could build intrigue around their names. In Cyborg, the UFC has a woman who demolishes all the opponents put in her way. Even though White, Rousey, and others have taken shots at her over the years, that tone seems to have changed to that of potential collaboration with the Brazilian. This may be due to the fact that Cyborg’s contract is ending, and the UFC would hate to see her move to Bellator. Whether that’s the case or not, the UFC needs to continue to build around her. The women’s featherweight division is lacking depth, but remember, there was a point in time in which the same was said about the women’s bantamweight division that was built around Ronda Rousey. When Max Holloway empathically took the title away from Jose Aldo at UFC 212, stopping the MMA legend in the third round, his victory opened up a host of fights within the men’s featherweight division. It also opened up the opportunity for Holloway to become Hawaii’s champion, a hole that’s been left unfilled since the downfall of B.J. Penn. Hawaii has a special place in the world of MMA and its fans are passionate followers of the sport. Holloway’s backstory and his abilities in the cage are the right mix to draw these fans’ interest. Rumors swirl of a fight with Frankie Edgar being next on his ledger, and that’s the type of bout that Holloway needs to build his fame up further. After all, it was Edgar who beat Penn all those years ago. That leaves Robert “Don’t Call Me Bobby Knuckles” Whittaker, the UFC Interim Middleweight Champion. The division is wide open with Michael Bisping as champion, and the UFC pushing for a potential “super fight” between Bisping and Georges St. Pierre, so the rest of the fighters in the 185-pound weight class are left to carve out their places. Whittaker could be forced to sit on the sidelines for an extended period of time, but that shouldn’t stop the UFC from pushing him. Whittaker offers crossover appeal in both Australia and Europe, which is especially important as Bisping reaches the twilight of his career. Everything during this stretch hasn’t been positive for the UFC, though. The Ultimate Fighter 25 Finale and UFC 213 preliminary bouts drew abysmal ratings. UFC 213 as a whole is estimated to have only reached 125,000-150,000 buys, which would be the lowest for the company in recent memory. Bellator can even claim a victory, as that promotion’s events produced stronger ratings than their UFC counterparts. It’s far from a swing in power akin to the Monday Night Wars between the WWE and WCW, but it’s still worth pointing out. The UFC is going through growing pains of sorts, as the organization continues to get its bearings after the WME-IMG purchase. The answer isn’t more fights, but a mix of fights people want to see and promotion designed to draw interest from casual fans. The company’s leadership has to learn from what occurred during these last few months, and apply those lessons to future planning. Enjoy the next few weeks off, as the UFC’s next event is scheduled for September 2. That time away will allow fans and experts alike to catch their breath and re-ignite their taste for the sport. But we shouldn’t forget these last 11 weeks of breakneck action; they have set the tone for the rest of 2017, and there’s more than enough momentum to close the year out in a positive fashion.